Did you miss out on your chance to have braces as a child? Many people in NYC regret not getting their teeth straightened during their younger years. Some have actually had braces as a teen, but it still didn’t correct the alignment issues. 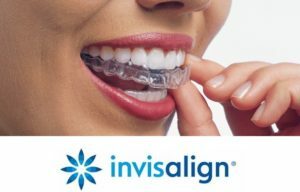 Invisalign is an excellent alternative to braces and especially beneficial for adults. The clear aligners are removable and allow you to eat anything you desire. Also, they are barely noticeable and lessen the risk of being embarrassed compared to wearing standard metal braces. Continue reading to find out the best reasons to get Invisalign as an adult in NYC. The Invisalign aligners are soft and are custom fit for your teeth. This means you will have less discomfort compared to wearing standard metal braces and brackets. One of the common complaints of standard metal brace patients is the discomfort level of the brackets and wires as well as experiencing small cuts on the inner lip. Invisalign aligners are comfortable to wear and don’t cause damage to lips or gums. 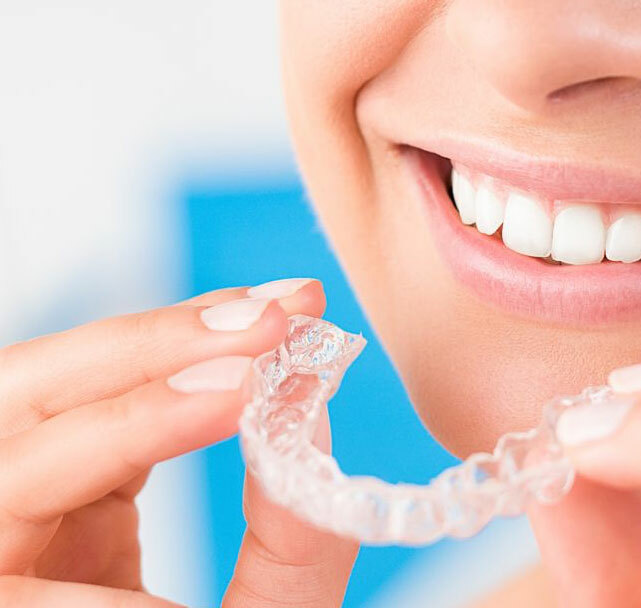 As your Invisalign treatment goes forward, you will gradually see your teeth aligning which causes you to become more confident and smile more often. This boosted confidence will be noticeable to everyone around you. Also, if you have always smiled or laugh by covering up your mouth, you will feel more confident to allow your beautiful straight smile to be seen. A widespread concern among adults that are seeking to straighten their teeth is the embarrassment of food getting stuck between standard braces. Invisalign is an excellent alternative since the aligners can be removed easily. In fact, it’s mandatory that you remove the aligners from your mouth before eating and drinking. This is required to assure the aligner doesn’t get damaged or bent out of shape from chewing. As an adult, you don’t want to look like a teenager wearing silver metal braces. Chances are you want to look your best while straightening your teeth. You also don’t want your co-workers to be distracted by your metal braces. Invisalign aligners are convenient and easy to use. The process involves merely using each aligner set for the period of time your orthodontist recommends then move forward to the next set. Chances are your co-workers or anyone else in your life won’t even notice your aligners unless you take them out in public. As a teenager, your parents might not have been able to afford braces for you. However, as an adult, you can surely afford teeth straightening treatment. Many orthodontists understand patients might not be able to pay for their treatment in one lump sum, so they offer other payment options such as accepting credit card, insurance and creating a finance plan that fits your budget. Inquire further with your orthodontist to learn more about payment options. Overall, getting Invisalign as an adult is highly beneficial for a variety of reasons. You get to straighten your teeth, boost your confidence, set up a payment plan and feel comfortable while wearing the aligners. Dr. Jacquie Smiles offers accelerated orthodontics for adults in NYC. What are you waiting for? Contact us today for your no-obligation adult Invisalign appointment in NYC. You may also call us at 212-972-3522. Our office is conveniently located near 30 East 40th Street Park Avenue, New York, New York 10016.